The beauty of every blue-violet stone found in Diamond Boutique’s tanzanite engagement rings range is enough to make every bride gasp. Found in only one location throughout the world, tanzanite is one of the rarest gems, making it a truly unique option for an engagement ring. The striking blue colour and stunning settings we combine the stone with will bring joy and delight into your loved one’s life. 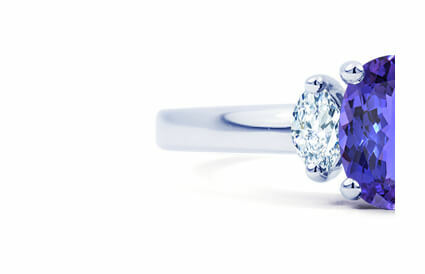 Start your life together with one of the beautiful tanzanite engagement rings from our collection. To make it extra special, enquire today about our free engraving service. Contact us on +44 (0) 203 6959 885 for more details.